Best wishes to everyone for a very Merry Christmas. Enjoy the wonder of it all! Hope you had a Merry Christmas and Happy New Year. Hoping to meet some new crafty people. Come and visit when you can. I hope you had a terrific Christmas!!!! 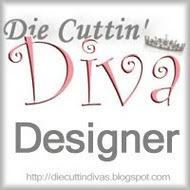 I'm now your newest follower:) Love all the projects I've seen on your blog:) I can't wait to see more!!! I hope you can stop by to visit:) Happy New Year!!!! !